Our goal is complete customer satisfaction. If you have any questions about our return policy, please feel free to via our contact form or call us at (210) 493-0023. Go here for Warranty Returns. If you need to return an item, just fill out the Return Information Form Below. We'll notify you via e-mail of your refund once we've received and processed the returned item. We will refund your full purchase amount if you return the items you ordered within 30 days of the purchase date for any reason. There are some exclusions. Our return policy does not include shipping and handling charges, Tools and some antennas see below. Although we do not reimburse return shipping charges, we will ship replacements for defective items via UPS Ground service (the domestic US only), 1st Class Mail or Parcel Post at no cost to you (Our choice of shipping options). 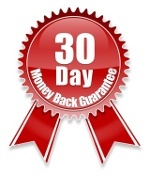 Wilson Electronics / weBoost offer a 30-day return policy on all of their products. Try their products and, if you're not happy, return them for a refund (less shipping charges). Item(s) should return with receipt, with original packaging, any warranty cards, manuals or any other documentation that originally came with the item. Items missing pieces or damaged through negligence or misuse are not returnable. Regular installation use is okay. We do not reimburse shipping or refund return shipping charges. Shipping fees cannot be refunded if a shipment is refused at time of delivery. Items must be in original (like new) condition and not abused. Item(s) must be returned with receipt, original packaging, any warranty cards, manuals or any other documentation that originally came with the item. We cannot accept returns that are not in original packaging. Items missing pieces or damaged through negligence or misuse are not returnable. Shipping fees will not be refunded if a shipment is refused at time of delivery. Installed equipment (such as installed hands-free kits and glass mount antennas) can not be returned. Returned products must have original and intact UPC barcode. Do not remove the UPC code until you have examined and tested the product to your satisfaction. Removal of the UPC code voids any possibility of a return for credit. All returns require a Return Authorization Number. Use Return Authorization Form Below. Since glass mount antennas are glued on a window, and are difficult to remove without damage, we recommend that they are installed by a professional. Once installed, glass mount antennas cannot be returned for any reason. Please keep this in mind when deciding on the type of antenna to purchase. Most products featured on AlternativeWireless.com are covered by a manufacturer warranty. Most manufacturers require that you return defective merchandise to them directly for replacement. Most manufacturers have available warranty return instructions on their websites. Contact the manufacturer for all warranty claims. Go here for more Warranty Returns Information. For us to quickly and accurately process your returns, all returns and exchanges require a Return Authorization Number. Complete the form below for a Return Authorization Number.